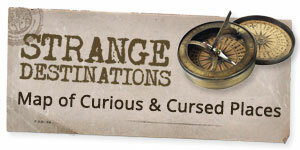 In the Salt Lake City Cemetery there is a peculiar old gravestone that has been the source of much speculation. 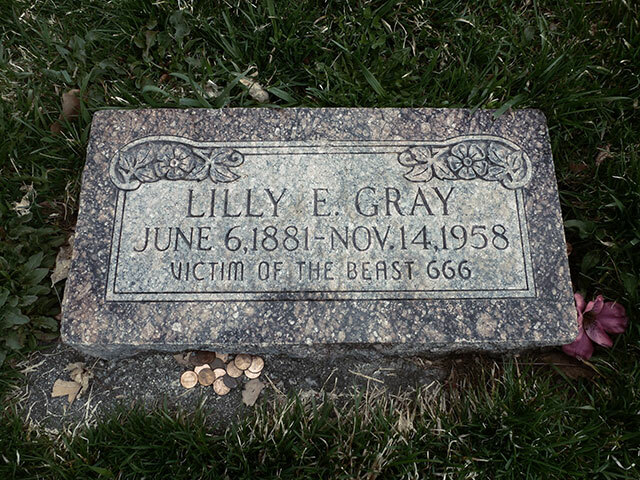 The small granite marker of Lilly Gray (1881-1954) bears the inscription Victim of the Beast 666.
Who was Lilly Gray and why would anyone put a statement like that on a gravestone? Elmer L. Gray was responsible for placing the outrageous phrase, “Victim of the Beast 666” on his second wife Lilly’s gravestone, and that it refers simply to the government, law enforcement and officials, with whom he likely tangled with his entire adult life*, and the dynamics and beliefs based on his experiences.